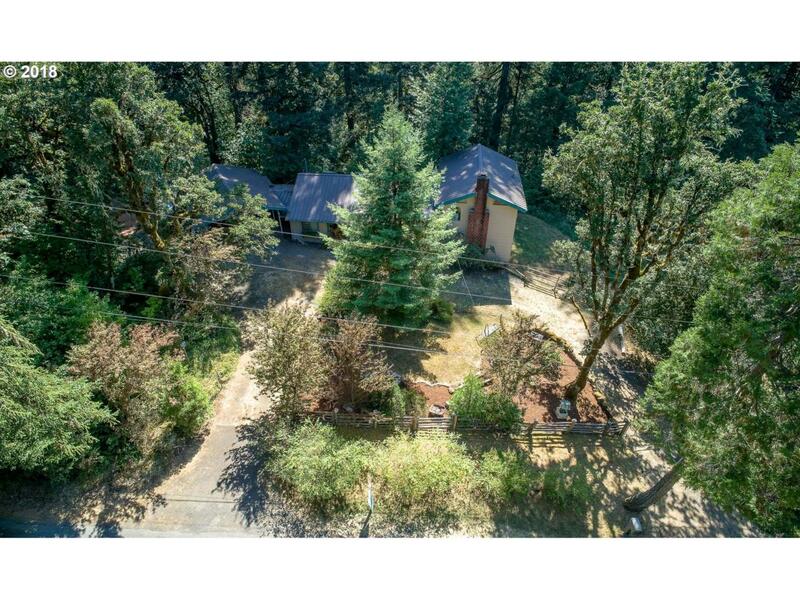 Quiet secluded tri-level ranch style property in the woods close to town. Cabin like feel setting with trees and mountain views on 1.83 acres. Seasonal creek and large wood deck,Large Family room with vaulted wood ceilings,4 bedrooms,2 baths,wood fireplace,New certified wood stove,shop,metal roof and carport,additional adjacent lot .67 available for purchase. All appliances stay. Low County Taxes. A Must See! !